Feline Hyperthyroidism info from Garden State Veterinary Specialists - A Multi-Discipline Referral Hospital, coordinating all aspects of surgery, medicine and emergency care. Garden State Veterinary Specialists is a multi-disciplinary referral only practice whose goal is to provide progressive, state-of-the-art veterinary care. 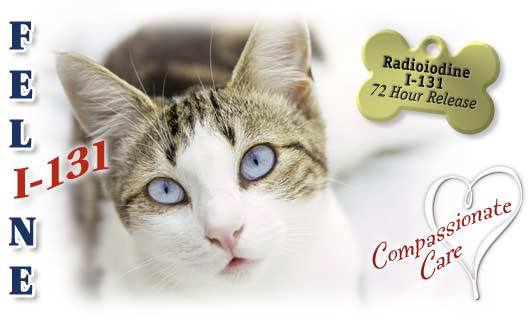 Our veterinarians are fully qualified to treat cats diagnosed with feline hyperthyroidism. At GSVS, we are pleased to offer Radioiodine I-131 as a treatment option. This treatment is a safe and effective alternative to medicine or surgery. Patient monitored by veterinary specialist. Our progressive specialty hospital provides multi-disciplinary care 24/7. We work with your veterinarian.